Want to view this later? Email this page to yourself. 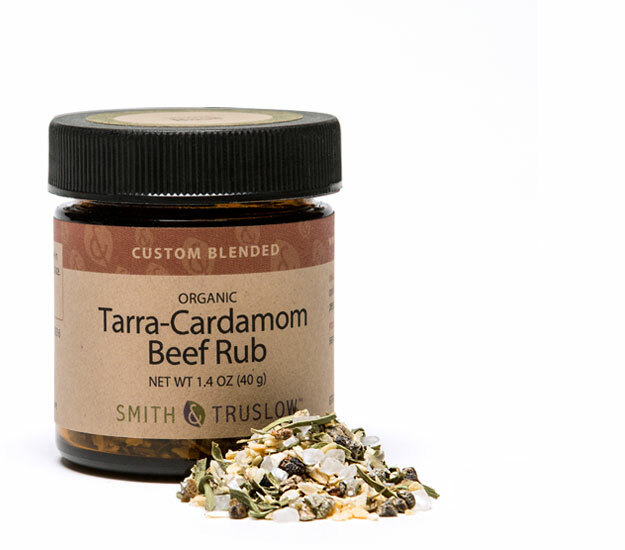 Exquisitely fragrant beef rub pairs cardamom with tarragon, to send your cut of beef on vacation to the Middle East by way of India. Sea salt, onion, garlic, and black pepper add further complexity to this exciting spice rub. To maximize freshness, store in a dark airtight container in a cool dry place. Once the spice is ground, flavor deteriorates with exposure to light, heat, air, humidity and time. Refills arrive in air-tight plastic bags. Simply snip a corner of your bag, refill your Smith & Truslow jar, apply the new label and recycle the bag. Thanks for signing up - you will receive a confirmation email soon!